Employee retention starts before the first day! I have had nearly a dozen first days of work, and I can honestly say that I have never had a first day of work that I would classify as great, much less thoughtful. A client once told me she was excited about a new hire, until the new hire showed up on the first day talking about being tired, how far away she had to park, and complaining about the weather. She instantly worried she had made a mistake – this was not the energy she wanted in her office! What had happened to that enthusiastic, inspiring person that showed up to the interview? Many of us won’t get too many first days at a new job. And while the first day is both exciting and terrifying, it can really set the tone for your future with your new employer. That’s why doing a good job of onboarding is so important. 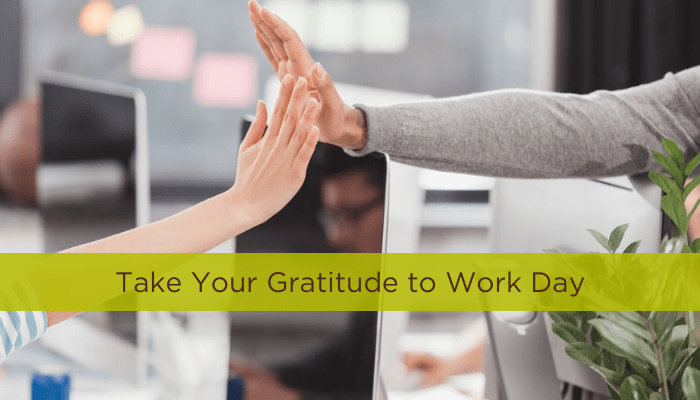 Saying thank you isn’t just for toddlers. This week I talk a little bit about how I had to change to become a more Thoughtfully Fit manager (spoiler alert: I had to change a lot). It has taken a lot of work to create new habits, but has definitely changed my life – and my management style – for the better. And after reading the posts from my team, I think it’s better for them too!